Have you been wondering why I haven’t been posting this past month? Well, here’s why. A few weeks ago God placed on my heart the importance of consecration. If you’re not familiar with the principle, consecration is the conscious act of separating oneself from sin, earthly distractions, and spiritual hindrances surrendering all to God for Him to do His will. Consecration is crucial to your relationship with the Lord because it decreases self so God can increase in your life allowing you to become a living sacrifice (Romans 12:1) for Him to use. Consecration almost always involves some sort of fasting, whether from food or other activities, scheduled and intentional prayer and comprehensive bible reading. In essence, you will draw near to God and He will draw near to you (James 4:8). If ever there was a time to seek God that time is now. More than ever, it is time for faith believing people to seek God so we can be spiritual strong during this divisive time in history. 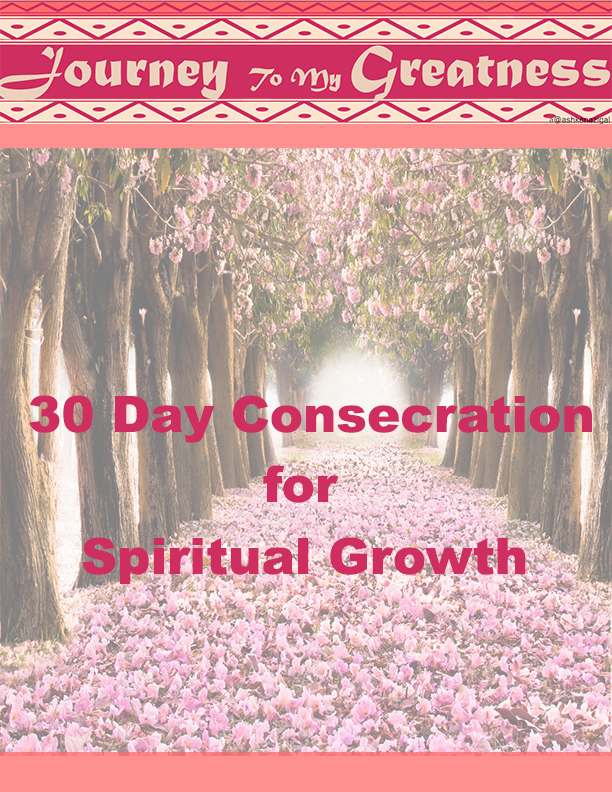 That’s why I, with the Lord’s help, created the 30 Day Consecration for Spiritual Growth Workbook to help those who are actively seeking to know God on a more deeper level. Inside the workbook, there are weekly themes designed to help you focus on areas that’ll inspire spiritual growth in your relationship with God, daily prayers and scriptures, biblical meditation themes, and ways to apply the Word to your life. I am in the process of editing it and it will be available soon for purchase. Join journey to my greatness mailing list and be the first to know when it is available.